The Colt Annual Father's Day For Our Veterans, Tatical Trainers, and Our Men In Blue! 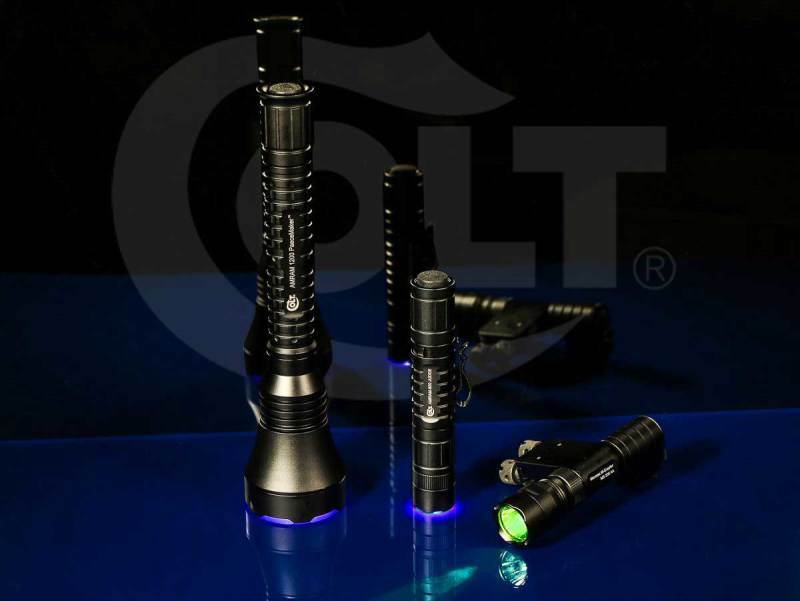 Announcing For 2017.. GENUINE COLT Tactical Professional Law-Enforcement Tactical & Weapon Flashlights....Very Limited alotment for this sale. 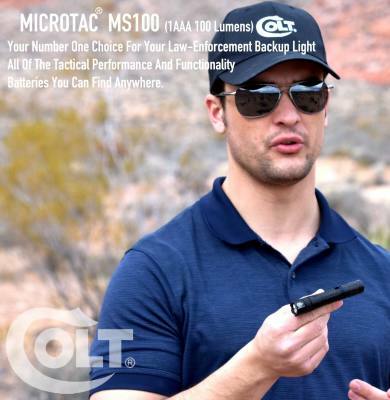 COLT ’s Just Released Revolutionary 1,200 Lumen Single LED, Professional Service-Duty Flashlight. Available Exclusively To Our Memebers at $80 Off For Fathers Day Sale...Only 400 Units each available direct from COLT. Colt historically Does Not have Father’s Day Sales. And this one is for Colt Fans Only. 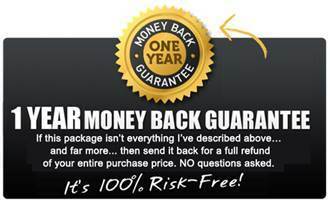 It's Not for the general public….It’s Your Chance to Take Action! Here's your chance to own the brightest Duty-Light in Modern History! The Just Released 2017 Colt Peacemaker is not just a bright light. It ranks the BRIGHTEST Law Enforcement Service-Duty Light In US History at over 70,000 Candela. Every year your buying the same old lights, usually from the smae old companies. But COLT has been your trusted rifle, that kept you safe. Colt believes in Uncompromising Quality and for over 2 years, Colt’s engineers have been planning the Illumination COUP of the century. 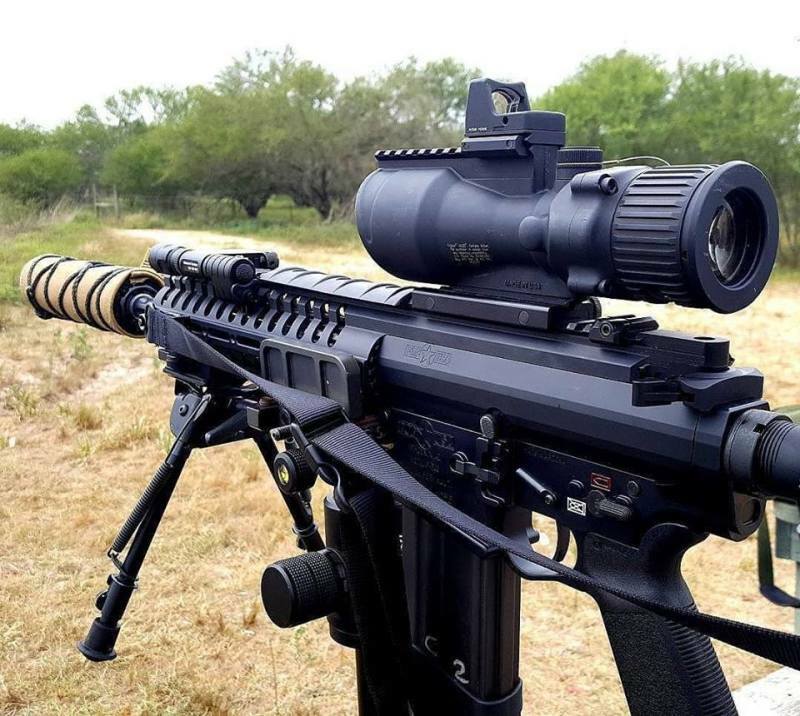 In January of this year at the 2017 Shot Show in Las Vegas, at the COLT Booth, COLT Launched the release of its entire line of weapon and Tactical illumination systems. Professional Lights for Law Enforcement and Military Use. If you’ve been carrying a Stinger (a very bright 1,100 lumens and 45,000 candela) which needs to be chronically recharged….Then you’ll Love the 2017 Colt PeaceMaker at 1,200 Lumens with its advanced machined optics with a throw of over 70,000 Candela. 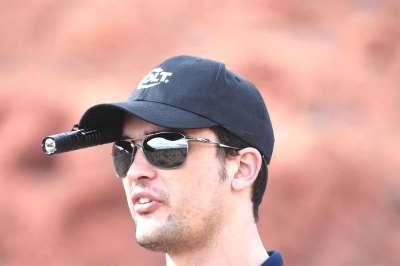 And with its computer regulated shock-proofed driver, it puts that beam out for over 10 continuous hours of run time. 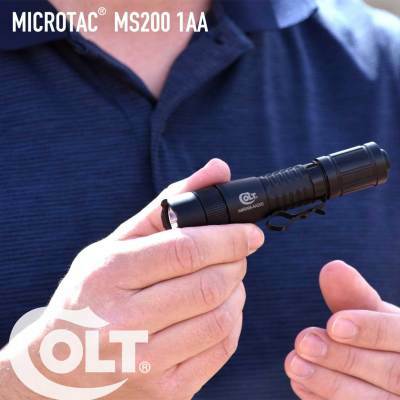 If you’re the kind of person who needs to own the world’s toughest and brightest single LED MIL-SPEC Professional Tactical Light…This will most definitely be the brightest and farthest reaching light you have ever owned or carried in your law-enforcement career…EASILY Capable of lighting up the Top of the Empire State Building while standing at the bottom...Or shooting past 10 football fields. 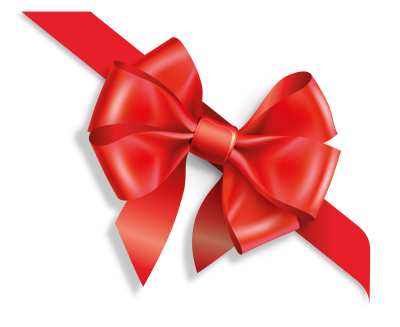 We have only set only a few hundred available for the Father’s Day Sale…and Only to our Officers and their friends who receive this offer. And in the tradition of Colt…when it sells out…it’s out! Read on! 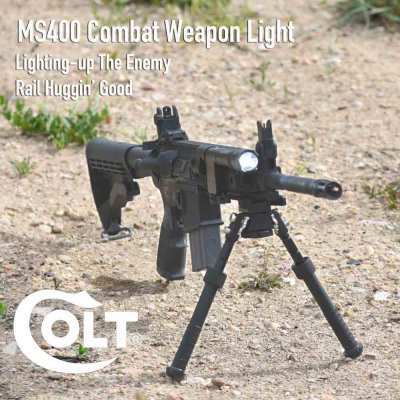 The Colt illumination team built their lights knowing full well that young men and women around the world, who risk their lives to protect and serve America both on the battle field and on the streets, depend upon their gear NEVER to fail. Putting it plain and simple...men and women live and die with their gear, and that means everything to the Colt's illumination team. It's not a game when your life depends upon it. And every Colt illumination product made is put through tremendous trals and testing to make sure that it will last and perform through the hardships it is detined to face. It's "ZERO COMPROMISE building at its best. Colt's top engineers, were responsible for helping other brands in the illumination field for years, but at last, put their heads together for the Colt brand and in just 2 years developed an entire line of fully weapon-mountable products (from the smallest to the largest), which can shoot beams of light farther per lumen then nearly every brand in the world. And by doing so has taken on the entire professional tactical illumination world, outperforming them all from day one. Colt didn’t stop there…They created standard size and micro sized models able to withstand multiple direct hits from a 12 gauge shot gun without dieing. It may seem strange to shoot a flashlight with a 12 guage shot gun, never mind shoot it 4 times. Who would do that and what in the world does it really mean? In the real world, and most especially for the officer or the soldiers serving the United States and its people, nothing usually goes as planned. And the word isn't getting any safer. A light in your pocked may serve as the last line of defence from a rougue piece of flying debris. And the gear that you laid next to that wall that just came down form that explosion, is still going to have to serve you faithfully when you finaly get it dug out. This may seem a bit extreme, but it's anything but for those serving in harms way. And Colt's engineers take every thing they design with that fram of thinking....Zero Compromize Products! Colt knew that nearly every small light out there being sold as a "backup" edition for LE, tactical, and military use, was far from a quality build. So the engineering team went to work to create a new standard within the Tactical Illumination Industry. 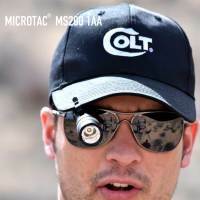 Colt's team decided to creat the "Zero Compromise" build system in every light they make, which means that no matter how small the build, it must be "weapons rated" for recoil all the way down to its palm-sized AM-100 Microtac. AND...even that tiny light needed to be 100% waterproof, not just for the ANSI standard of 30 minutes. Instead, they made it waterproof for the entire run cycle of the light. That's over 5 hours for their AM100 Microtac 1 AAA "Backup" series and tested the AM100, AM200, and the 800 Lumen Judge, down to 30 feet below sea level. And on top of that...The AM100 Microtac, as small as it is, is one of the strongest and brightest 1AAA lights in the history of mankind and on the face of the earth. Colt's new releases are one of the few exceptions. 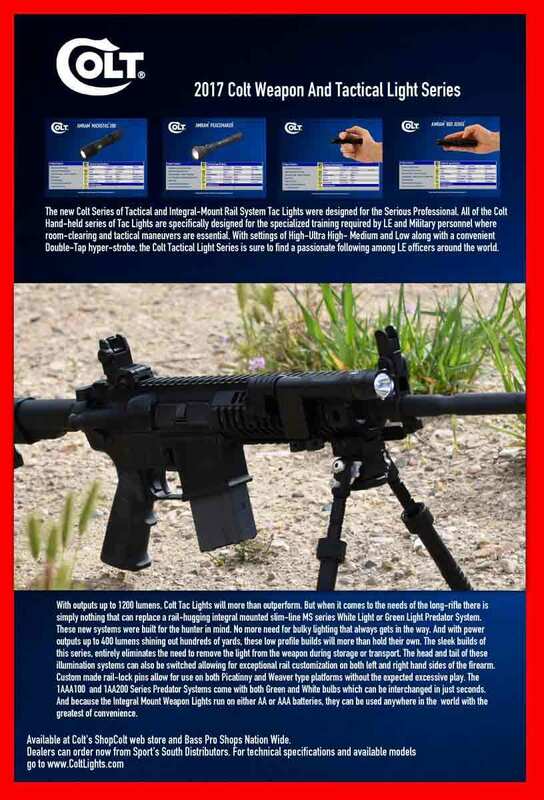 If you thought that $500 "weapon Light" you bought last year, was designed for actual heavy-duty recoil...Think again. If your light doesn't have Internal Recoil Protection...it's not made for recoil.... Take a look at this Colt Scepter taking the recoil of a 12 Guage...Not even a glitch of the beam!!! 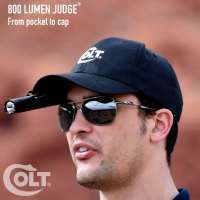 1,200 Lumen MIL-SPEC LED Colt PeaceMaker- Shines a beam nearly 1 Mile – Runs 5 time longer (over 10 continuous hours – Is Fully weapon mountable for all hunting rifle calibers – runs on just 4 CR123 batteries(included) – The COLT 1200 Lumen LED PeaceMaker is ranked to be the brightest and farthest reaching Combat Duty rated light in the world today. 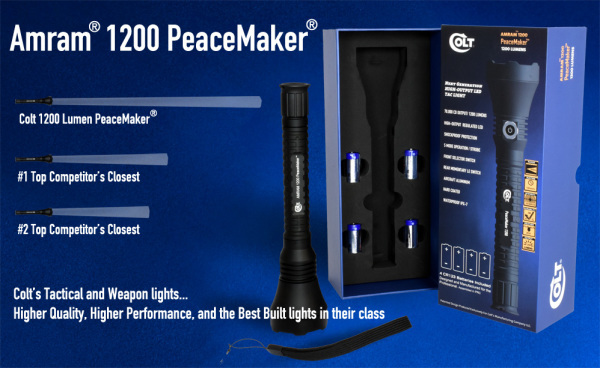 Colt lights outperform LIGHTS UP TO $1300 with ease- …Compare the 1,200 Lumen LED PeaceMaker to any of the $600-$1300 lights you own or find in stores and compare the internal quality you see when you open up the tailcap and you will see that with COLT, you get the Best Quality for the Best price. Quality you’ll see, and feel with any simple side by side comparison…. No question about it. Compare them inside and out to any light you've ever owned and you'll see the very obvious quality difference. Ranked the strongest and most durable lights in production in the world today – Each also rated to withstand massive shock and recoil for any hunting caliber(should you ever want to mount them)… And each nearly 3 times brighter and farther reaching that competing models of lesser builds. DESIGNED FOR LAW ENFORCEMENT AND COMBAT DUTY- They All have internal recoil pins, and timed circuits with multiple brightness modes and a “double-tap” hyper strobe for when those K-9’s run out at you from those dark alleys! 100% WaterProof- Yes, The 800 Lumen LED Judge, and the MS100 and MS200 are 100% Waterproof and dive- rated for 30 feet for the full run cycle of the batteries. (not just pudle proof for 30 minutes as ANSI requires for IP68. All other models are designed to exceed IP67 water proofing standards making them all among the most durable units in modern illumination history. 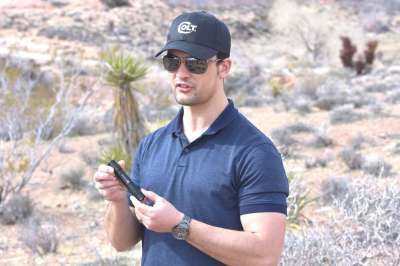 EXCEED ALL Law-enforcement Standards- , and ALL of their models are weapons rated for shock and recoil(Colt is the Only major brand to make ALL of their lights to that standard). Reliability you can see, feel and trust…Weather – Chemical – Impact resistant, Colt lights have shatter-resistant machined glass lenses, machined bar-6061 aircraft aluminum coated reflectors and Mil-Spec hard-coated bodies are many times stronger than lights by lesser brands…Why?? Because it’s a COLT!. 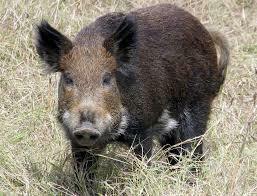 And they are Robust! Designed by Colt to last a lifetime- Tested down to -42 Degrees Celcious! Heat-resistant for flash burns over 550 Degrees Fahrenheit! 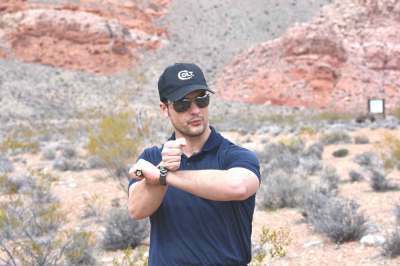 Colt Illumination product are “ZERO-COMPROMISE” products designed for the Extreme-Professional. ﻿﻿﻿﻿﻿﻿﻿﻿﻿Life-Saving “Self Defense” Lights ﻿﻿﻿﻿﻿﻿﻿﻿﻿– Not only will these lights provide you with backup lighting in an emergency, ﻿﻿﻿﻿﻿﻿﻿﻿﻿﻿﻿﻿﻿they can instantly t﻿﻿urn into a self-defense tool with a hyper-strobe “stun mode” that will stop any lowlife attacker in his tracks﻿﻿﻿﻿﻿﻿. ﻿﻿﻿﻿﻿﻿﻿PLUS, like all tactical devices this light's 'crenulated' bezel allows you to inflict serious damage ﻿﻿﻿﻿to ﻿﻿﻿﻿anything targeting you or your loved ones. A WHOPPING 35% OF ANY ITEM BY USING THE "FATHERS" COUPON CODE AT THE CHECK OUT... LIMITED SUPPLY PER ITEM> SALE ENDS WHEN INVENTORY SOLD. 400 OF EACH TAC LIGHT ONLY FOR THIS SALE. 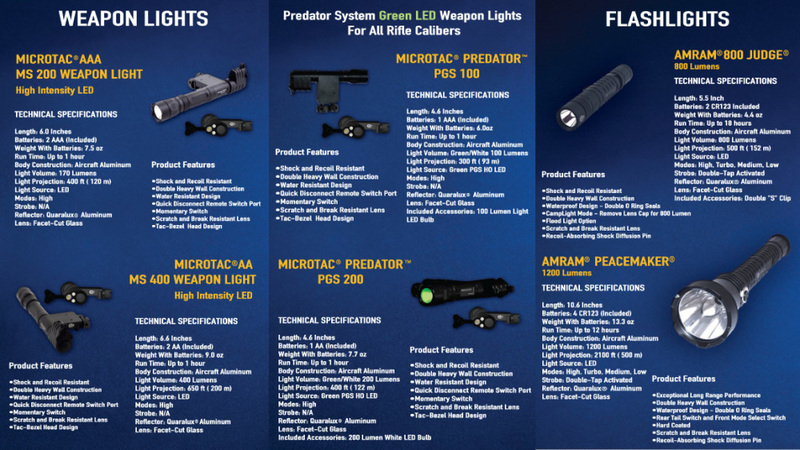 Select either any of the tactical lights or any of the weapon lights and save on this once a year fathers day special!!! The Best Guarantee in the Business: I want you to know that each COLT Tactical Light is backed by our...365-Day, “COLT Tough” 100% Money-Back Guarantee! 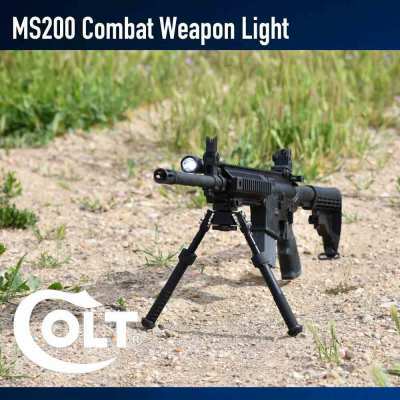 What's so great about Colt's version of a real tactical light?? 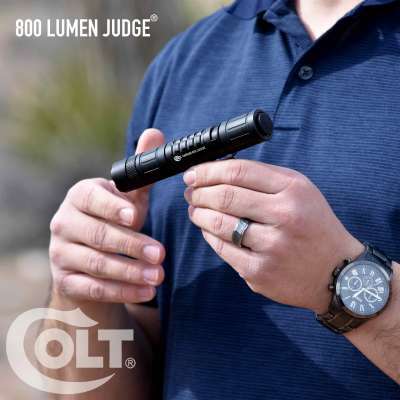 Colt's Judge Shot 4 Times Point Blank with a 12 Guage and Lives to Shine Another day... Colt Now Ranked The Worlds Toughest Combat-Duty Lights On Earth! Only 400 of this item for the sale..Sale While Supplies Last! Limited Supply for this item for the sale..Sale While Supplies Last!